Mittoni: Lian-Li Build Mum a PC for Mothers Day! 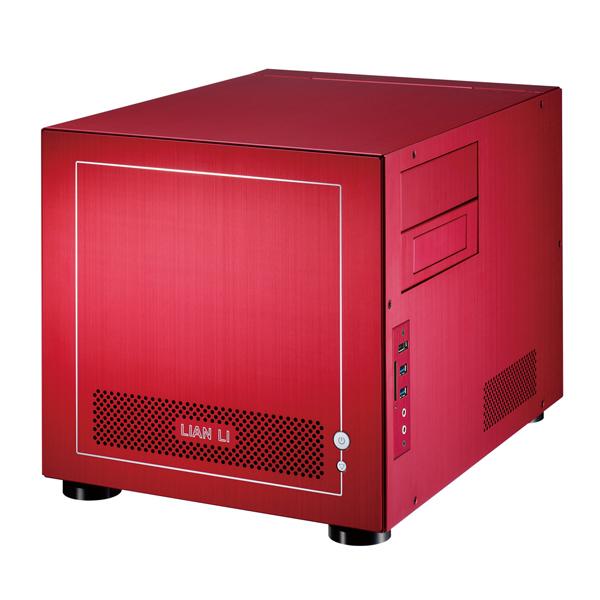 Designed and hand crafted by Lian Li, the red PC-V352 offers features unsurpassed in the field of Home Theatre Personal Computer (HTPC) design philosophy, implementation & construction. Major focus for the V352 series includes high airflow with low noise output, anti vibration mechanisms to greatly reduce system noise emissions and easy access to all major components to assist both system construction and maintenance. Constructed from high quality aluminium with double folded edges, you won't be cutting your hands, fingers or cables on sharp metal whilst working on your PC system. You'll find that the motherboard tray can be easily removed so you don’t need to work inside the chassis, you can remove the heart of your system for ease of access and the PC-V352R is compatible with Micro ATX & Mini ITX motherboards and standard sized ATX PSUs, making choosing the remaining parts for your next system a breeze. With the lowest possible noise output firmly in mind, this awesome Lian Li chassis is equipped with anti vibration kits to absorb system produced noise, including the EMI spring, hard drive vibration reduction, case stands equipped with rubber pads to deaden noise transfer into your desk or table and anti vibration mounts for your chassis fans as well. Excellent cooling with high airflow at low noise levels, features commonplace within the Lian Li chassis ranges, see this attractive chassis fully equipped with two 120mm fans and one 80mm fan, all classified as silent and vented PCI brackets assisting cooling of your expansion cards. I/O ports for this chassis include HD Audio, e-SATA, dual USB 3.0 and an SD card reader. This chassis includes two 5.25" external drive bays (one 3.5" bay available using the included 5.25" to 3.5" bay adapter) and three internal 3.5" bays for your storage requirements. The maximum length video card fitting this PC chassis is 280mm and this case has dimensions of (W) 350mm x (H) 336mm x (D) 449mm.